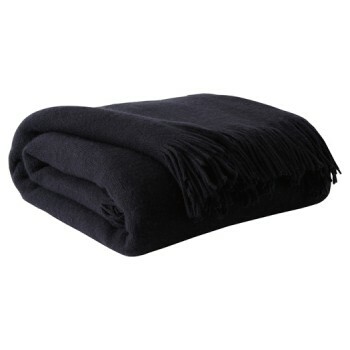 Goes-with-anything black and an ultra-soft weave make this fringed throw an absolute essential. You’ll love how it looks draped around a chair or sofa. Even better: how it feels draped around you.